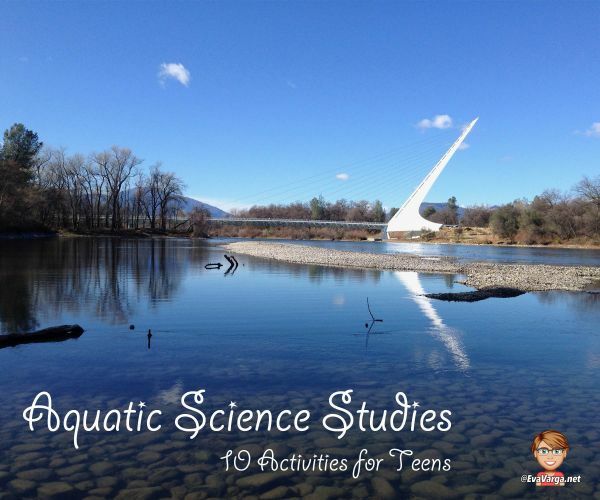 Upon return from our Roots & Shoots outing last week, the kids were intrigued by the many trials or challenges salmon encounter in their effort to return to their home streams to spawn. 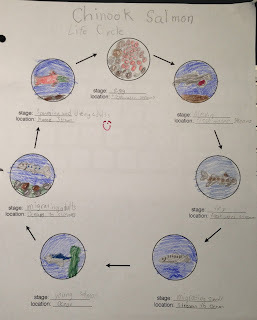 We thereby did a little research on the life-cycle of salmon. 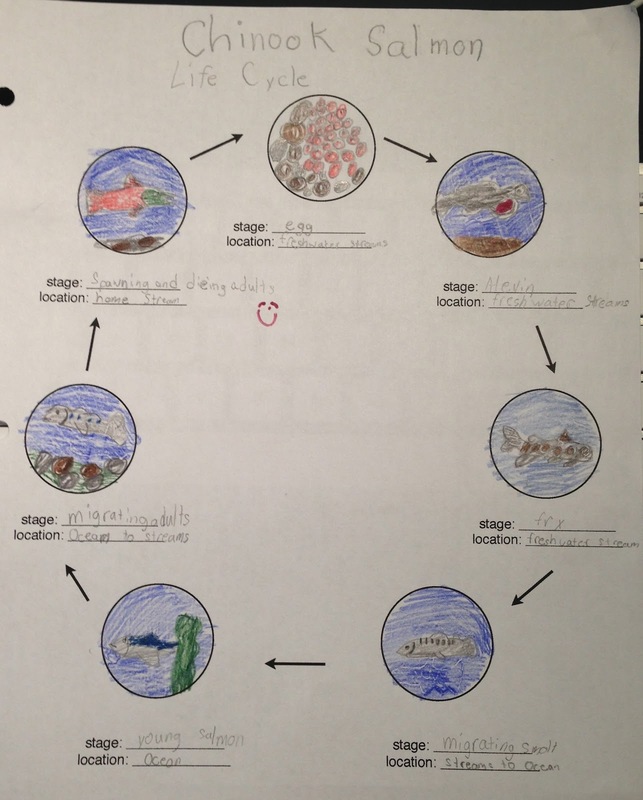 Thereafter, I gave them each a handout I created and asked them to illustrate the salmon life-cycle. This printable is available for free here, Salmon Life-Cycle Printable. As they worked on their notebook page, the kids started to talk about creating a letterbox to celebrate the mighty Chinook. 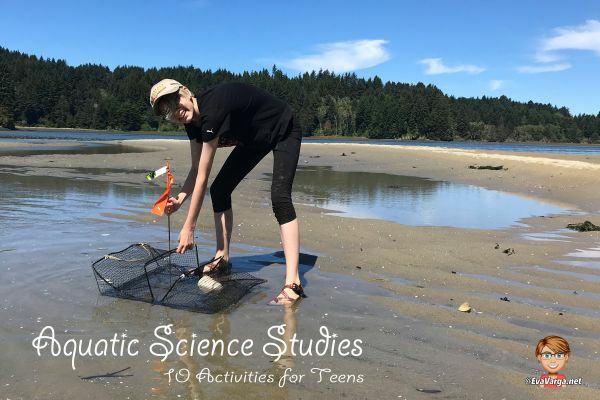 We brainstormed possibilities and settled upon a series of boxes … one stamp for each of the major steps in the life-cycle: egg, alevin, fry, smolt, migrating smolt or juvenile, and the adult. 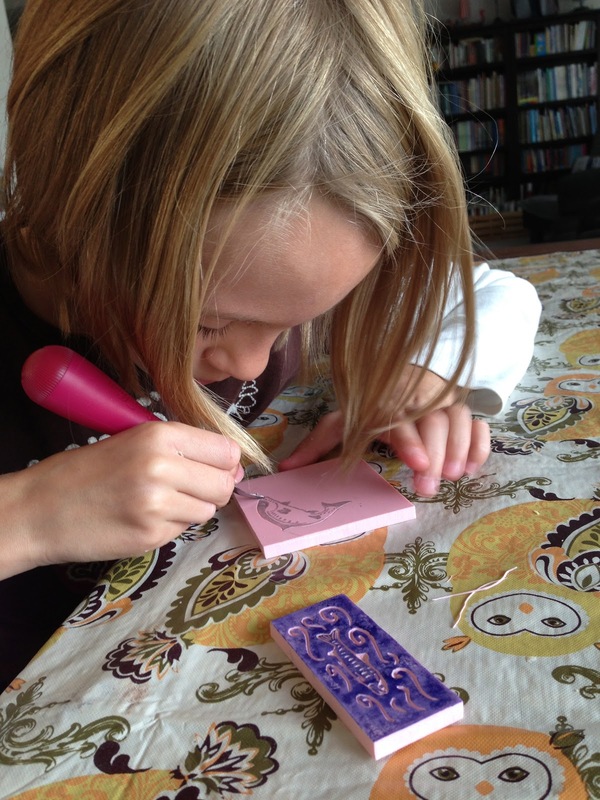 We printed out some simple illustrations and then set about carving. We carved two stamps each and then created a simple logbook for the sixth and final stamp (the adult). 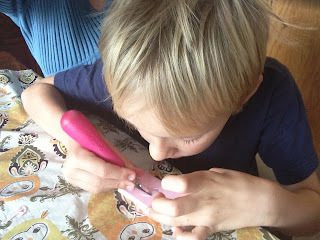 We then packaged them up in protective tins and made plans to return to the area the following day with their dad. They were excited to share their salmon observations and equally eager to share the joy of finding a few new letterboxes with their dad. Coincidentally, he had recently purchased a logbook of his own and registered his own trail name on Atlas Quest.